How to invite participants to join your webinar? If you have already scheduled a webinar, you can invite your attendees in different ways. 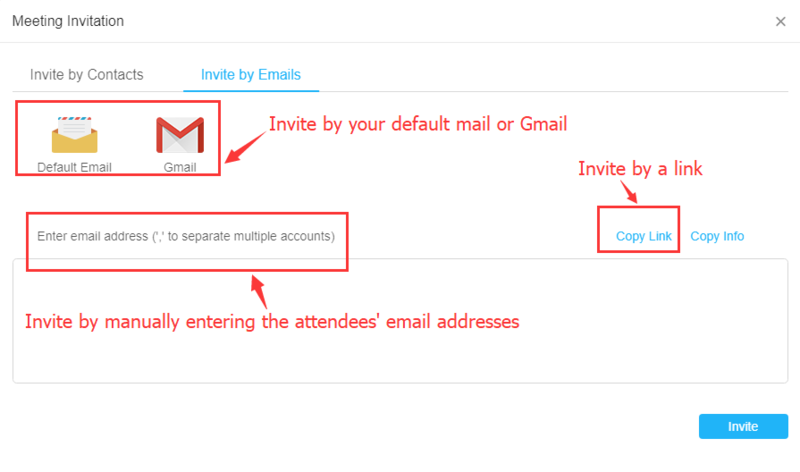 Step 2 Then you can Copy Webinar Room URL and share the link to your attendees.